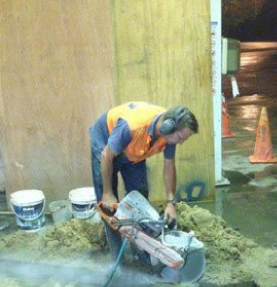 Here at A1 Concrete Cutting, we offer our clients friendly and approachable services at the best rates in the area. We are a locally owned and operated business based at Banora Point and serving customers from the Gold Coast and Northern Rivers area with a full range of services like floor and wall sawing. Our business was established in 2007, by owner operator Mick Dixon who has a wealth of experience in the concrete cutting industry spanning over 20 years. Depending on the situation, there are different machines for different processes. These may be applied to materials such as concrete, asphalt, brick or masonry block. Floor sawing is tackled in 2 ways. Using a diesel-powered road saw, the maximum cutting depth is 320mm. With a petrol-powered hand-held saw, the maximum cutting depth is 200mm. 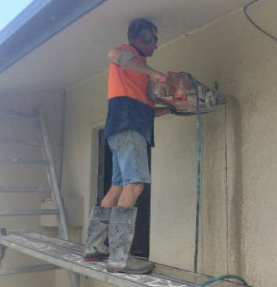 Wall sawing uses petrol-powered hand-held saws, cutting to a maximum depth of 200mm. Electric hand-sawing is a fumeless alternative for confined-space situations, the maximum cutting depth is 125mm. 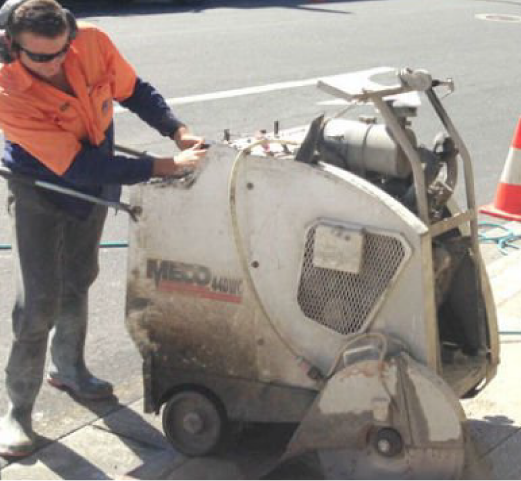 “I have worked with Mick from A1 concrete cutting for the last five years on various projects. He is very reliable and cost effective and no job is a drama. Highly recommended. 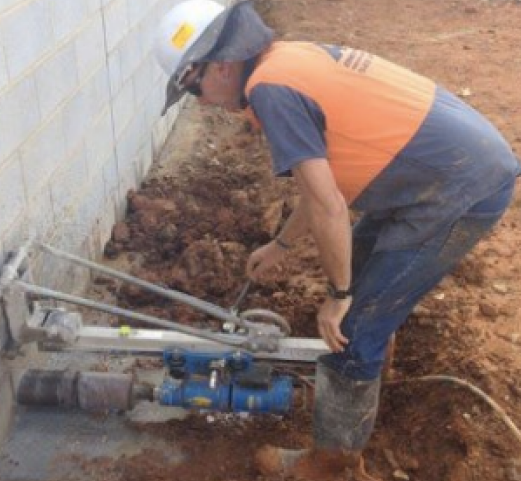 We can drill concrete and other materials including brick, asphalt and masonry blocks up to 400mm in diameter, both horizontally and vertically to any depth. Dependent upon the materials involved and the depth, we use either rig-mounted or hand help concrete drills. Holes may be drilled in various sizes, either by a hand-held or rig-mounted drill. We can drill to any depth required, both vertically and horizontally, into materials such as concrete, asphalt, brick or masonry block. The maximum diameter that may be drilled is 400mm. When it comes to cutting through concrete, we have the power to get the job done efficiently. Our diesel powered road saws can cut through a range of hard materials, including concrete up to 320mm thick. Our hand held petrol saws will easily tackle thicknesses of 200mm. For vertical wall sawing up to 200mm, we employ petrol powered hand held saws. In enclosed areas where fumes may be an issue, we use electrically powered saws for both walls and floors with a cutting capacity of up to 125mm. Whether it’s a concrete slab or a brick wall, A1 Concrete Cutting can assist with your needs. For the smaller demolition jobs (a service often not provided by larger companies), we not only offer concrete break up, but removal of concrete and other building materials. We also have bobcats and excavators on hand for those larger jobs. 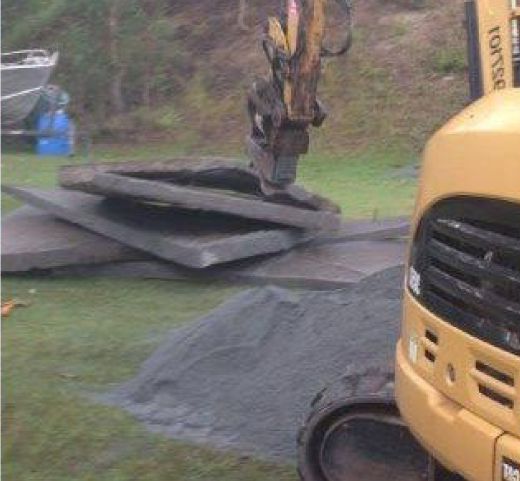 A1 Concrete Cutting is based in Banora Point, servicing the Brisbane to Northern Rivers area. With 20 years experience in the industry, Mick Dixon started the locally owned & operated business in 2007.